Today: Dads have monopolized pancakes long enough. 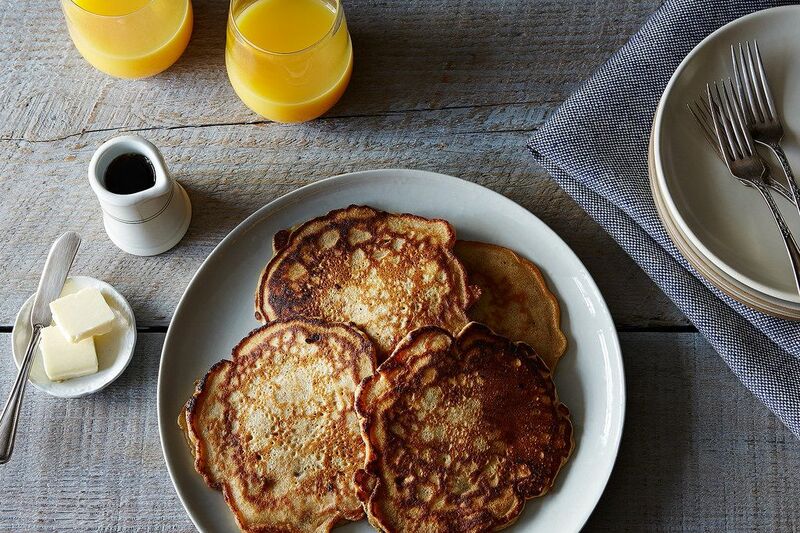 Reclaim pancakes as your own, and then customize them however you want. But Dads have plenty of other things: They have baseball, they have math homework, they have terrible jokes. Father's Day is over, so we don't feel bad about saying that it's enough with the Dad monopolies, already. (Sorry, Nicholas). It's time for the mothers, daughters, sons, sisters, brothers, and childless people of the world to reclaim pancakes as their own. More: 2 breakfast classics we're reclaiming over at Provisions? Iced coffee & donuts. Let's face it: There will come a time when you want to eat pancakes and you can't locate a dad willing to make them for you. But there's no need: It's not that hard to make pancakes yourself. 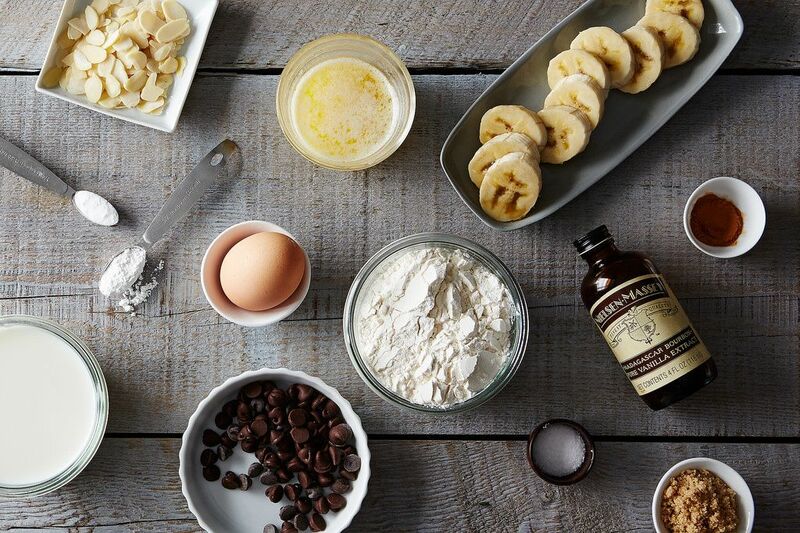 You don't even need a recipe and you can add as many chocolate chips as you'd like. First, commit your master ratio to memory: 1 cup flour : 1 cup milk : 1 egg. This should be easy to remember, even before your morning coffee. Once you have that down pat, you're ready to get started. 1. 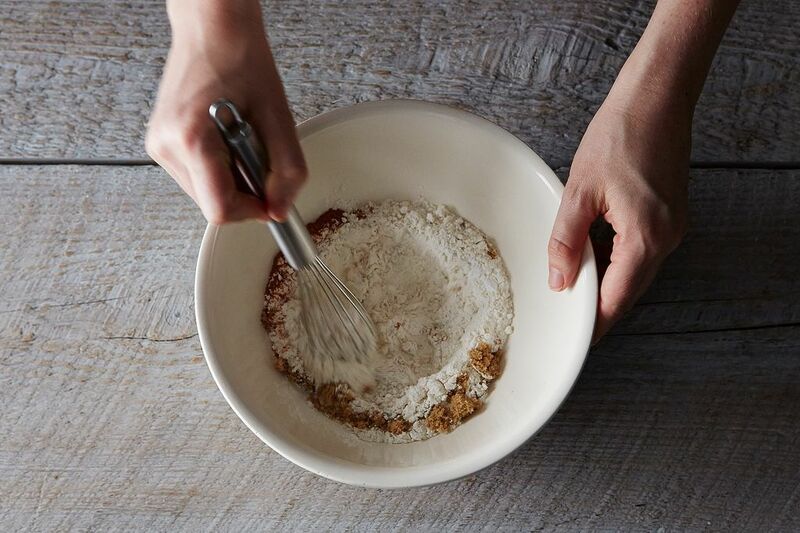 Start by whisking together your dry ingredients. 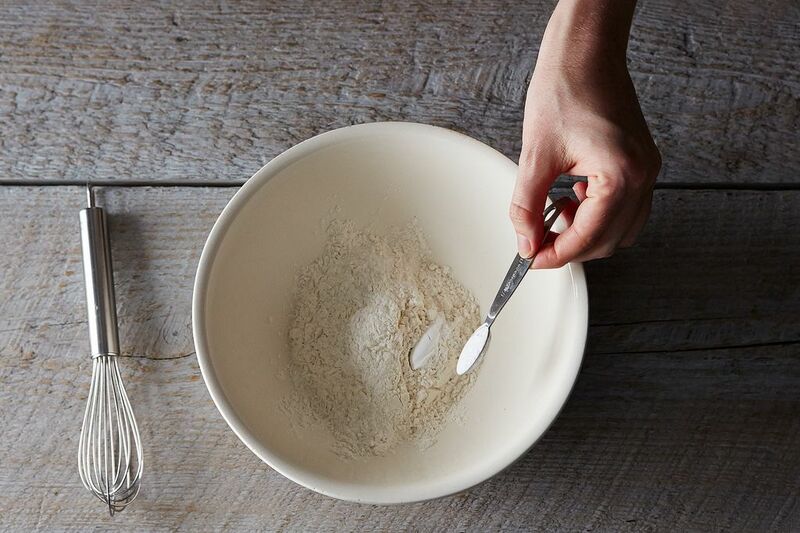 For every cup of flour you add, you can expect to feed 3 to 4 people. Use either entirely all-purpose flour or half all-purpose and half whole wheat. 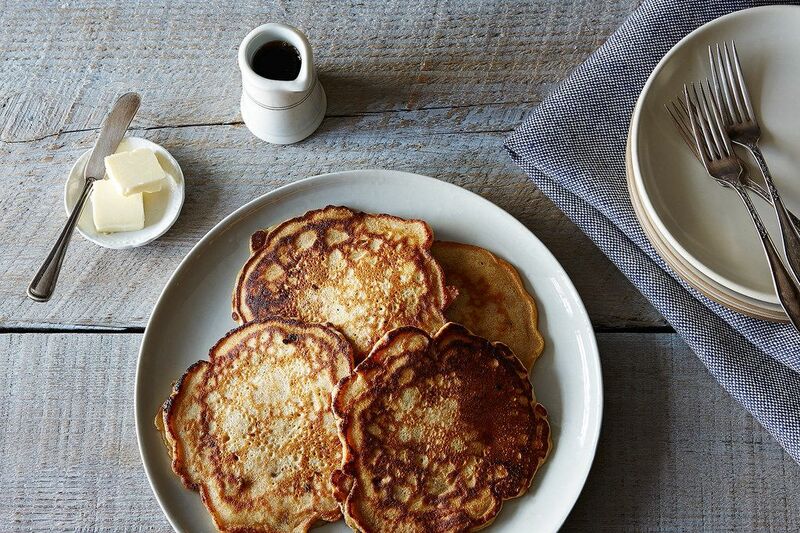 If you want multigrain pancakes, replace 1/4 of every cup of flour with rye or barley flour. 3. Add some spice -- cinnamon, nutmeg, ginger, whatever -- to the dry mix and stir to combine. 4. 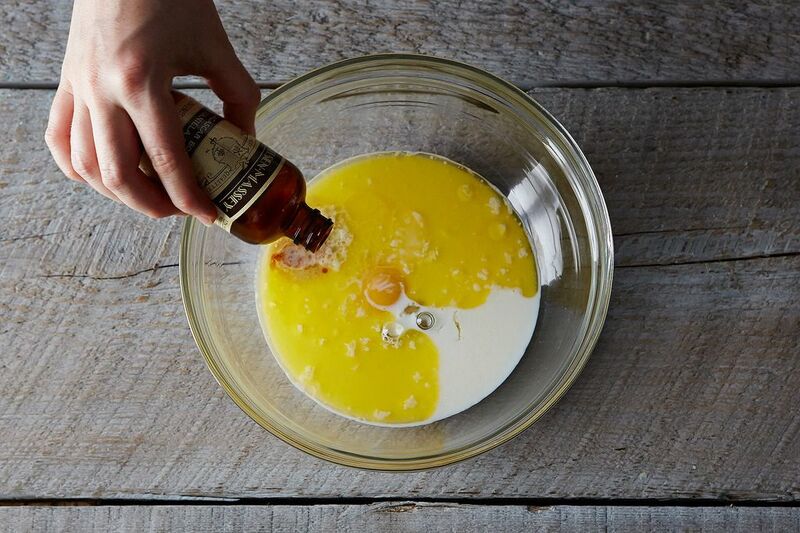 Now it’s time to gather your wet ingredients. 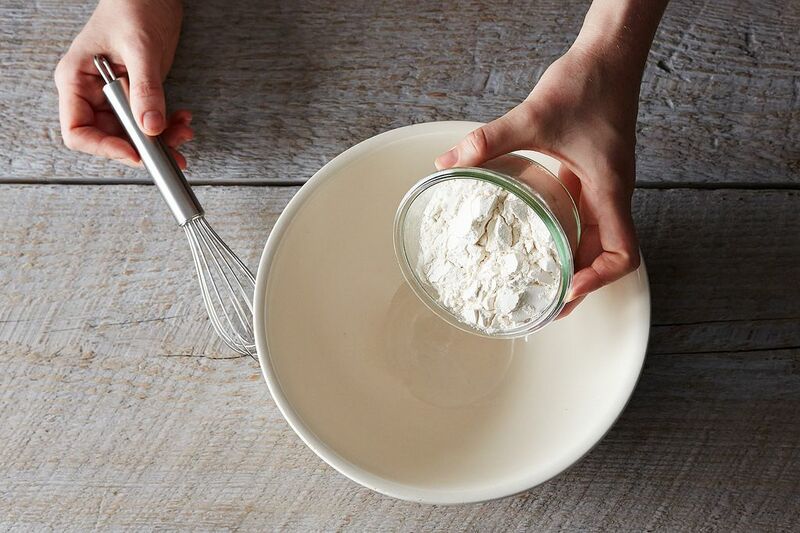 You’ll need 1 egg and1 cup of milk for every cup of flour in your dry mix. If you’re vying for tangier pancakes that are still light and fluffy, consider a mixture of 3/4 cup buttermilk and 1/4 cup milk, or use 1 cup of plain yogurt along with a couple of tablespoons of milk. 5. Pour in about 2 tablespoons of melted butter or oil, then add some energy to your batter with flavorings like vanilla extract or lemon zest. 6. Pour the wet mixture into the dry mixture and stir with a wooden spoon until just combined -- this is one of those rare times in life when you want lumps. 7. 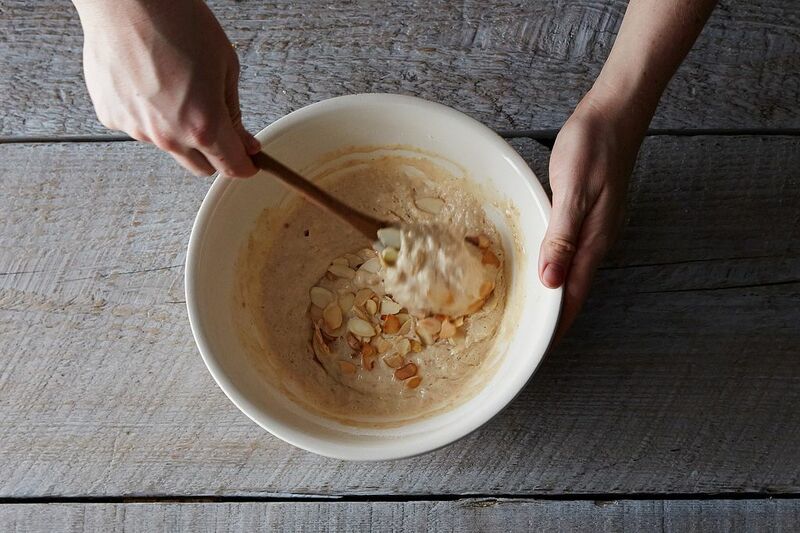 Now's your chance to stir in ingredients for even distribution throughout the batter, such as sliced almonds, chopped walnuts, coconut flakes, or mashed banana. 8. Heat a skillet over medium heat and add a pat of butter or a teaspoon of oil and let heat for 3 to 5 minutes. Scoop about 1/4 cup of batter onto the skillet. 9. Let the pancakes be, or adorn them with banana slices, chocolate chips, sliced strawberries, blueberries, or additional nuts. Cook the pancakes until they’re dry around the edges and you can see bubbles forming on the top. You will be impatient and the first one will be undercooked, but don't fret -- there are plenty more to come. 10. Flip with a spatula and cook until golden underneath. 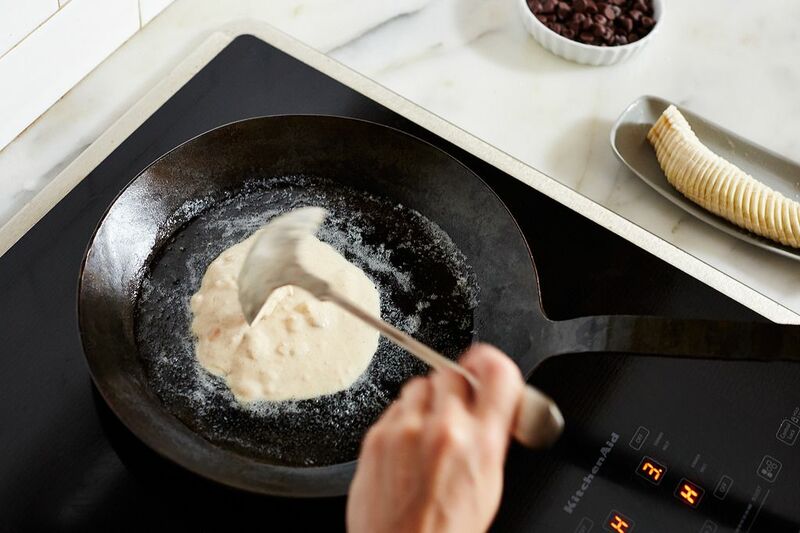 Keep the pancakes warm in a 200° F oven until you’re ready to serve with butter, syrup, and/or whipped cream. More: What does the perfect pancake mean to you and what are your tips for making them? Tell us in the comments! Doesn't matter what your batter is. 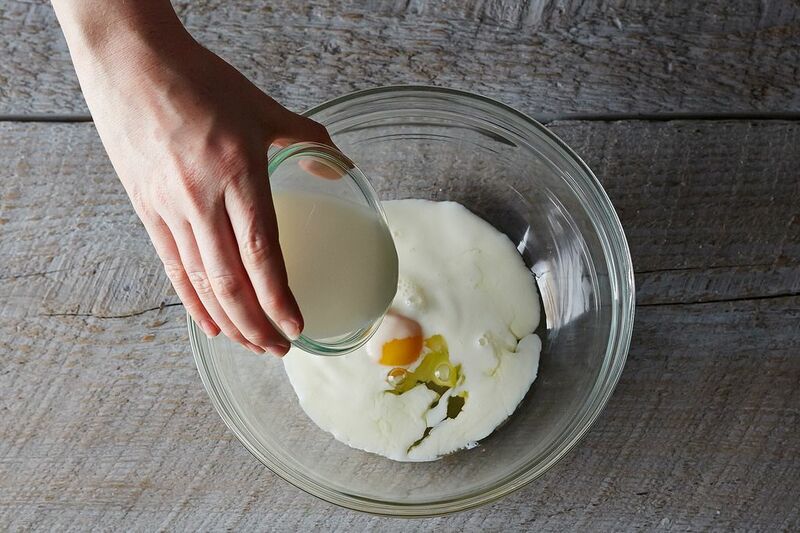 For light, tender, fluffy pancakes, separate the egg(s). Add the yolk(s) with the other wet ingredients. Beat the white(s) 'til stiff, then fold in last. 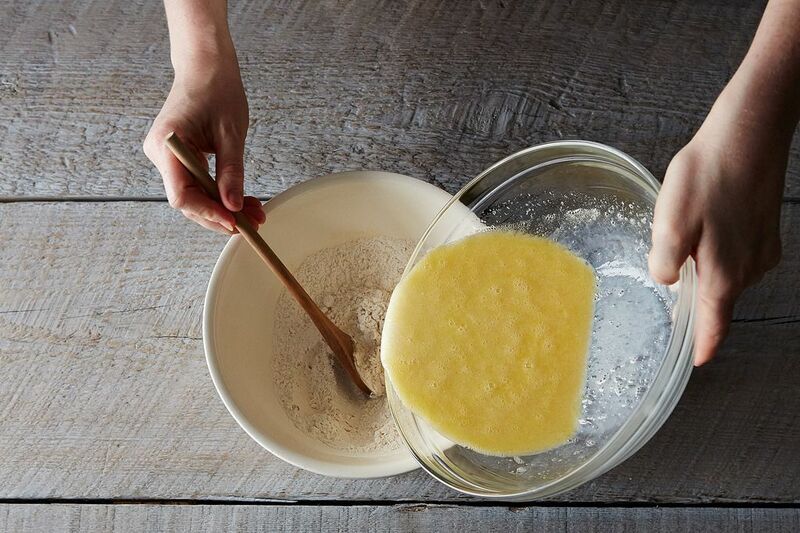 Easiest, most delicious pancakes ever: Break two eggs in a bowl. Add a blob of cottage or farmer cheese, or just leave it out. Slowly beat in enough matzo meal to make a very thick batter, then thin it a bit with some milk. Salt if you like. A bit of sugar if you like. A bit of vanilla if you like, if not, not. Slowly fry them until golden brown in butter or oil. I have been using this same ratio too, it simplifies my life and the pancakes always come out well. I always use something acidic (buttermilk, kefir, lemon+milk, or yogurt) in the liquid portion and use baking soda for a fluffy result. Dads have baseball and math homework? Groan. 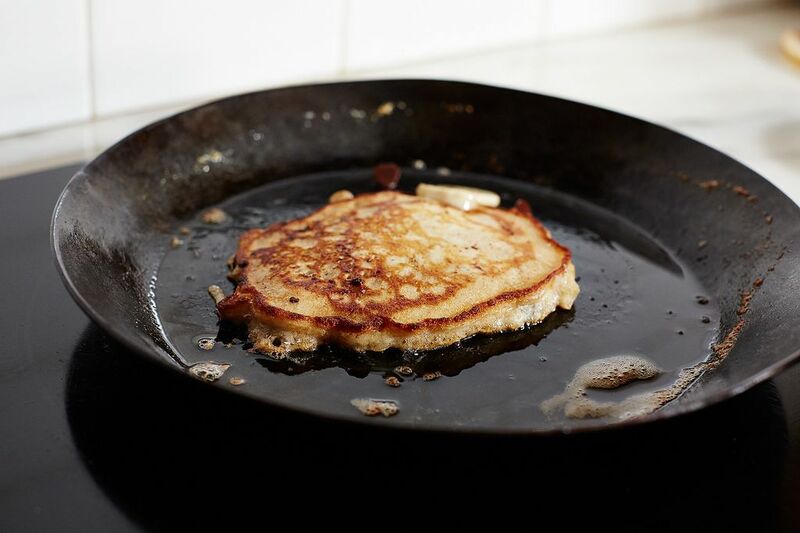 I've been making pancakes for over 50 years with almost the same recipe as given here but add a few tablespoons of canola oil to the batter and none to my well-seasoned cast iron skillet or grill. I use buttermilk/baking soda for higher and fluffier pancakes. The pancakes pictured here (fried in butter) really look flat and greasy. We add butter when we serve them, not before. You can use self-rising flour to simplify this even further. I sometimes use King Arthur SR flour, and find I can substitute up to about 20% whole grain flour without noticeably affecting the lightness of the finished product. This is an interesting article, but I really don't get the concept behind the "...Without a Recipe" series. The articles all contain recipes, they're just in text form instead of in the traditional format. I make my pancakes exactly the same as did my mum. I will add a banana or a handful of blueberries topped with nice organic maple syrup. To avoid both overmixing (=tough pancakes) and lumps, the french let their crepe mix wait an hour or so before using it. I just mix up my ingredients in reverse. 1 egg per person + 1, mixed with a tablespoon of suger + some vanilla, then enough flour so it looks a bit heavier than waffle batter, finally milk until is is runny. Makes a well-loved family recipe somewhere between crêpes and pancakes. Please go through your recipe again in more detail. I like the concept of a "crepes" like "pancake" I don't enjoy the usual light, thick type. My boyfriend has a mini-freakout anytime I cook without a recipe...I'm like, "DUDE, don't worry, I got this!" haha. Maybe for the inspiration, but the ratio is quite different. His uses less liquid and twice the baking powder. What's the science behind having lumps in the batter? Why are they a good thing? it means you did not overwork the flour in the mix thereby creating too much gluten and tough pancakes. 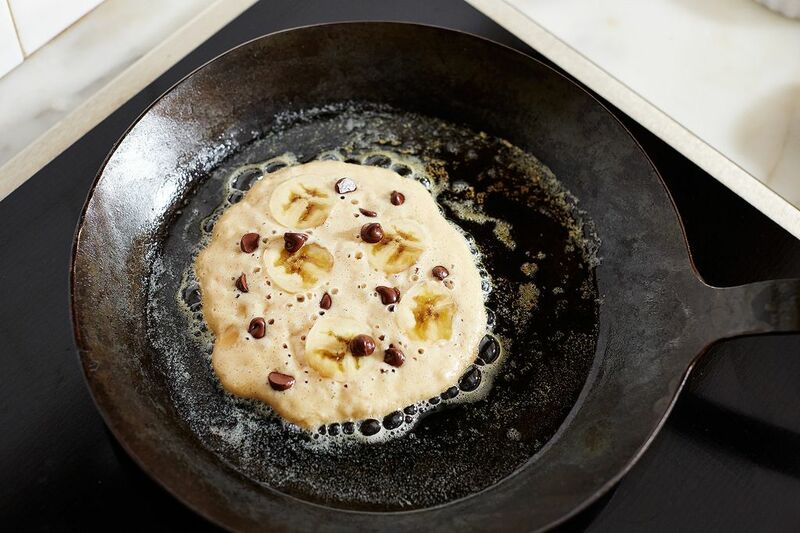 I tend to take the casual route and just add another pat of butter with each new round of pancake batter (and I've never encountered scorched chocolate or berries), but I'm really curious to know if you've had problems with this and to brainstorm a solution! Our blueberries tend to be quite juicy; when the pancake is flipped over, the heat of the pan and transferred during cooking causes the berries to release juice. That thick purple juice gets all over the pan and makes the next batch somewhat unsightly. Very interesting to hear that this doesn't happen to you. (The problem is not scorching so much as a very messy pan after each batch.) ;o) P.S. We generally don't drop the blueberries into the batter in the bowl because that makes the batter sort of greenish. We usually dot them on the pancakes as they are cooking on the first side. Why not go with the omelet cook's solution? When you need a clean pan, wipe the pan out, put some butter in it and go. I also almost always add the blueberries as the pancakes are cooking rather than to the batter, also. What kind of flour? All-purpose or self-rising.